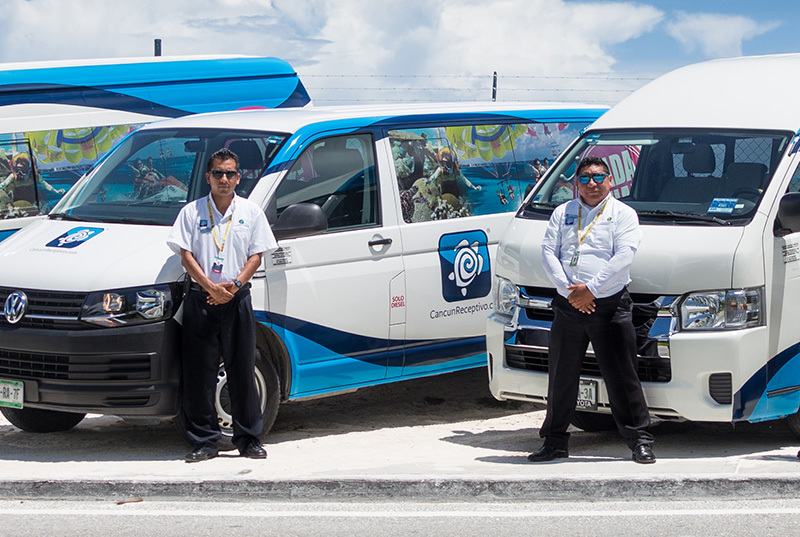 Our ground transportation service between Cancun International Airport, downtown, hotel zone, Playa del Carmen and the Riviera Maya, is the most flexible and best price in town. 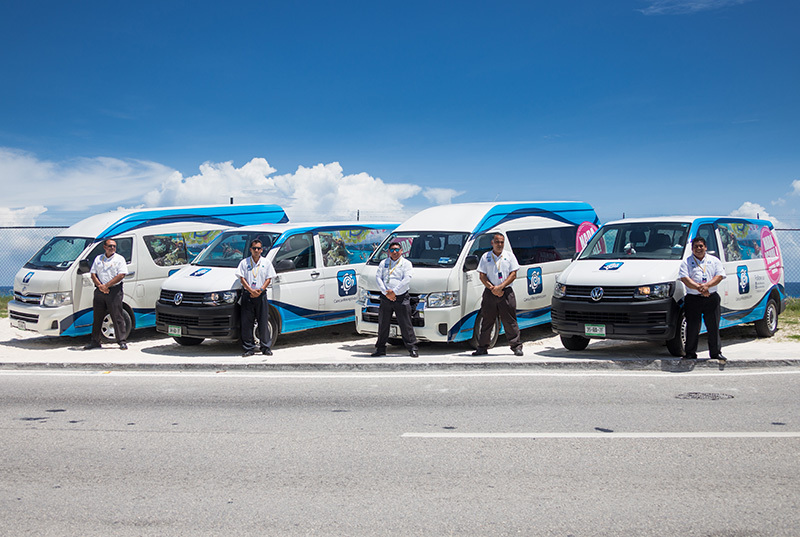 Our certified and friendly drivers will make your transfers experience fast, comfortable, safe and always on time. 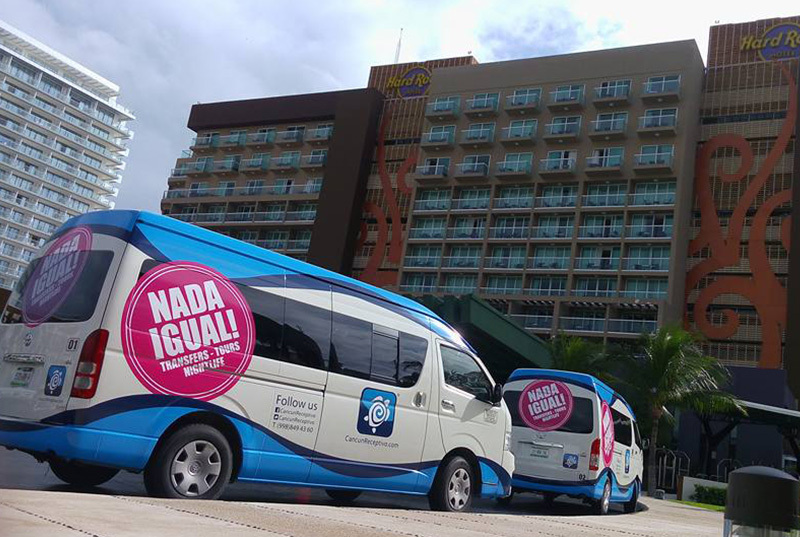 Save big money getting our Shared or Private transfer to your hotel in Cancun or Riviera Maya, no hidden fees or extra charges! 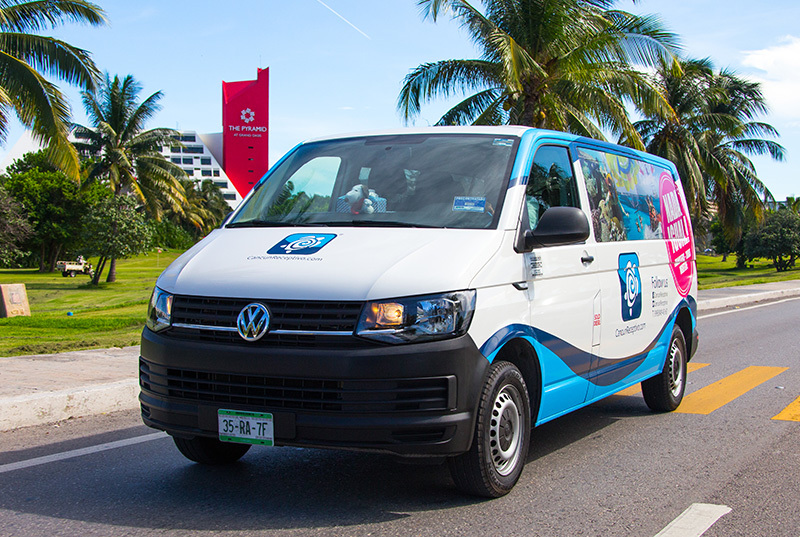 Start your perfect vacations since your arrival at the Cancun Airport, with a private shuttle service for you. 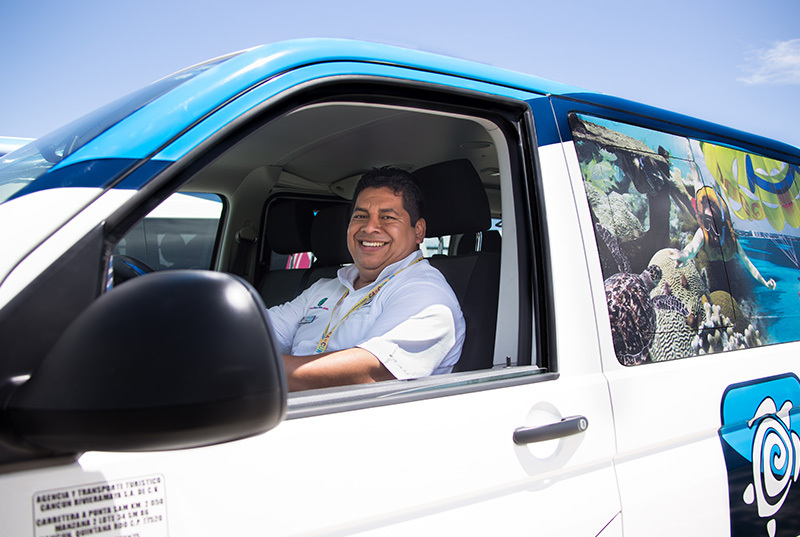 Our certified driver will be waiting for you with a personalized banner (your name on it). Avoid annoying waiting time or stops, we’ll leave as soon as you get in the van. 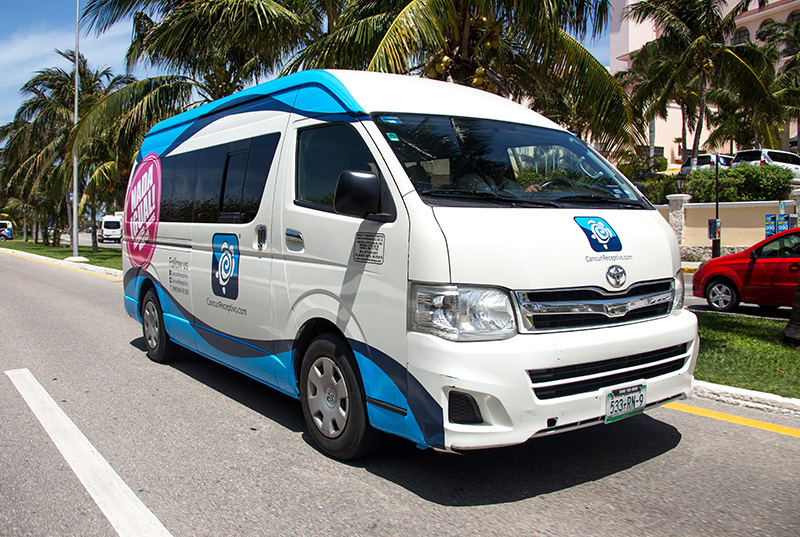 Choose any hotel in Cancun, Playa del Carmen and Riviera Maya, we’ll take you there fast and safe. 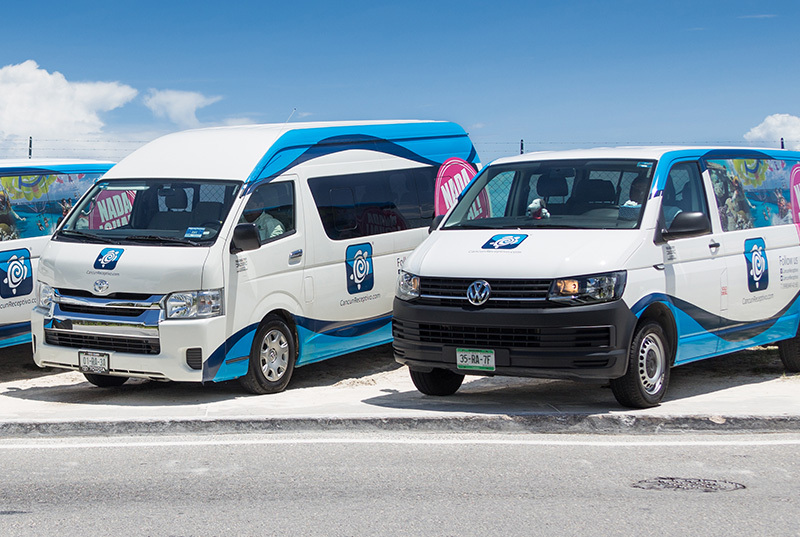 Our price is per van (air conditioned, models 2014-2016, with capaciy for 9 people with luggage. Rep with a visible, personalized (your name on it), colorful and easy-to-find banner. Comfortable air-conditioned van, models 2016-2017, with capacity for 9 people w/luggage or 12 without luggage. On Hotel to Airport Private shuttles, there’s only a 10 minutes tolerance according to the set pick up time. 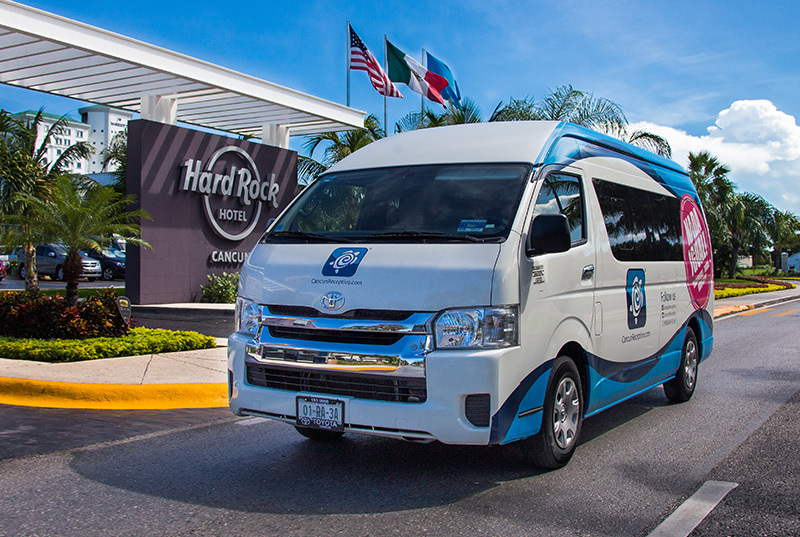 Transportation from Cancun Airport to any hotel in Cancun, Puerto Morelos, Playa del Carmen or vice versa, in a simple and shared service with people arriving at the same time. A friendly and certificate driver will be waiting for you with a banner easy to notice. 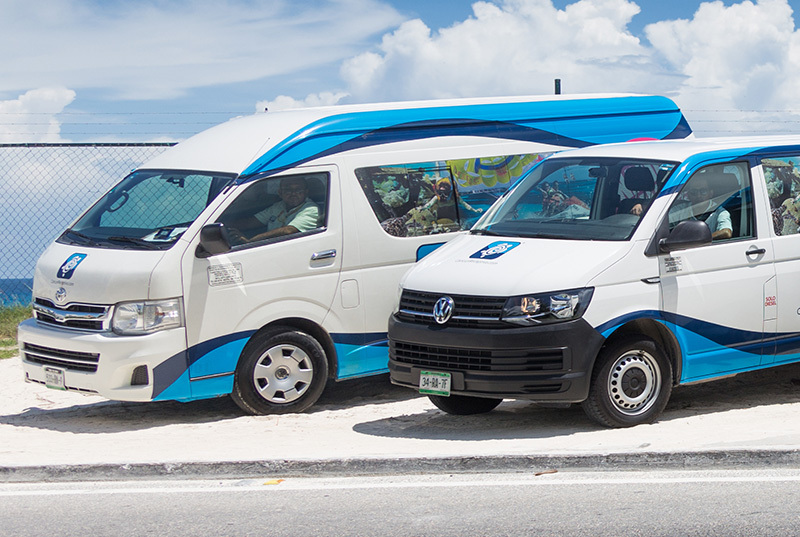 Enjoy the comfort of an air-conditioned and secure van to arrive on time to your hotel and start enjoying your vacation right away. Rep with a visible, colorful and easy-to-find banner. Comfortable air-conditioned van (models 2016-2017) for 9 passengers with luggage or 12 with no luggage. The shuttle will be shared with people arriving at the same time (difference of 15 minutes). One of our reps will wait for you on the transportation area, please look for a personalized banner with your name. On Hotel to Airport Shared shuttles, there’s only a 10 minutes tolerance according to the set pick up time. If you miss the shuttle, and still require our service, this will have an extra cost and will be charged as private service. 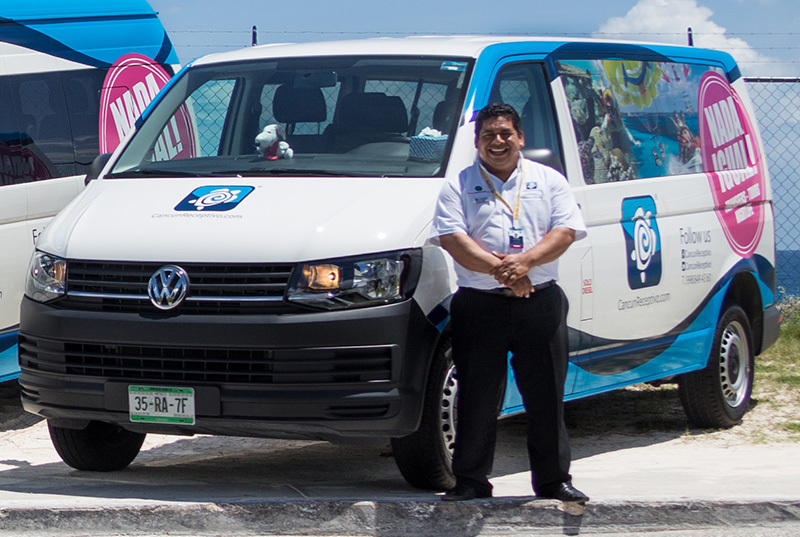 On shared transportation service from Cancun Airport to Puerto Morelos or Playa del Carmen, a minimum of 2 people is required.